2018 Bucket Race Bike Rules. Homologation requests can be submitted to the BRA committee for consideration. Please Note: A motorcycle / engine / frame are NOT PERMITTED to be raced until it has gone through the complete process of homologation and been deemed legal to use. Sometimes this maybe a little slow but rules are rules and until the motorcycle / engine / frame in question is deemed legal it cannot be used. There are many other homologated bits that can be used in the mean time. Modifications may be made to the frame to allow the fitment of race seat, triple clamps (steering stops), shock mount positions, and fuel tanks. The addition of bracing and removal of unnecessary brackets. No restrictions on the use of swing arms. Frame must remain in the original configuration and only twin shock frames to be used. (i.e. no single shock frames permitted). Forks must be no larger than 35mm in diameter. Conventional forks only, no upside down forks. CB125E, CB100/125/175 K, J, S, N, T SL100/125, H100, MT125, CT/125/185/200, XL100/125/175/185/200, ATC200 XR200.CB125E, CB100/125/175 K, J, S, N, T SL100/125, H100, MT125, CT/125/185/200, XL100/125/175/185/200, ATC200 XR200. JS125Y (Complete 124cc engine), JS150Y Cylinder only. 4ai) 4 stroke cylinder heads shall remain in original configuration i.e. Valves shall retain original angles and position and shall remain standard sizes only. Maximum valve sizes: Inlet 30mm, Exhaust 25mm. 4aiii) Camshaft modifications are permitted. Note: Camshafts that interchange between homologated models may be used. i.e. CB may be used in XL, GS may be used in DR etc. 2 stroke barrels/cylinders shall be restricted to an exhaust port width of 70% of the bore diameter with the standard number of ports ONLY. Brake modifications are permitted. Disc brakes are limited to single or twin piston calipers only. Tyres to be readily available in Australia; No slicks or wet racing tyres; Tyres are to be as they left the manufacturer, No modifications (ie. No re grooving) Maximum tyre sizes are restricted to a width of 100 section E.g. 100/80 x 17. Shall be as per the GCRs. No additives or (octane boosters) other than oil for lubrication. Induction will be by carburettors only. 28mm (carburettor maximum on 2 strokes). - No forced air induction. The implementation and enforcement of the BRA Racing Rules is governed by the BRA committee. Penalties for non-compliance will be determined by the committee. -- 4 STROKE HEADS (VALVE SIZES) WILL BE CARRIED OUT DURING THE YEAR. These capacities are maximum sizes, a tolerance of 2% is included within these capacities. Open to any grade of rider. Engines Choice of engine is open. Any engine conforming to capacity & valve constraints under Classes section 1. Fairings: Modern style race fairings allowed. Brakes: Brake modifications are permitted. Fuel: Shall be as per the GCRs. only. Motolite number plates to be as per MOMS. WILL BE CARRIED OUT DURING THE YEAR. Racing class open to all 4 stroke 125cc Commuter Bikes. It must have a standard 4 stroke engine of no more than 125cc. The motorcycle must be made to comply with any general requirements of road racing in the MOMS. The following items may be modified from OEM. Carburettor jetting / Fuel injection mapping. Air filter, air box may be modified / removed. External gearing and drive chain. Tyres: No Slicks or Wet Weather Racing Tyres. 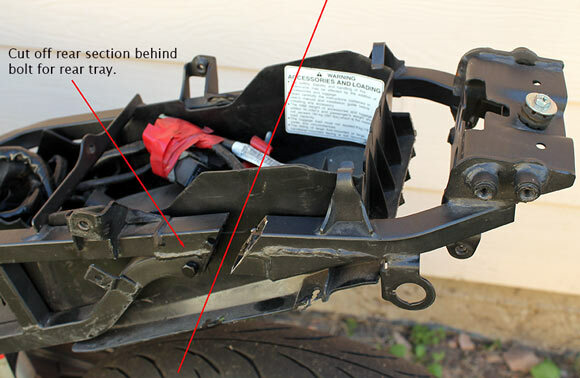 Brake pad material, braided brake lines allowed. Handlebars, hand and foot controls. Front Fork springs and internals. Instrument cluster may be removed or replaced with aftermarket instruments. OEM ECU must be retained, no modifications allowed. Checks will be made on ECU rev limiting to specification. Starter motor, battery and alternator must remain standard and operational. 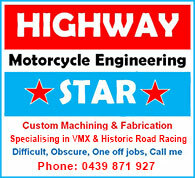 (Engine must start from bikes own starter motor). Commuterlite camshafts will be checked at Scrutineering at most of the meetings this year. If a bike looks distinctively fast, It will be checked for capacity, camshaft etc. Make sure you are legal. If not, you will be excluded from that meeting, plus possibly face disciplinary action from MNSW. This could mean incurring a ban for a period of time, Licence suspension, fined or all of the above. Also the BRA / PCRA may also take measures of discipline. Rules will continue to be revised (if needed) at the 2017 BRA Annual General Meeting. The BRA Committee has the discretionary power to alter the above rules if required within the next 12 months.